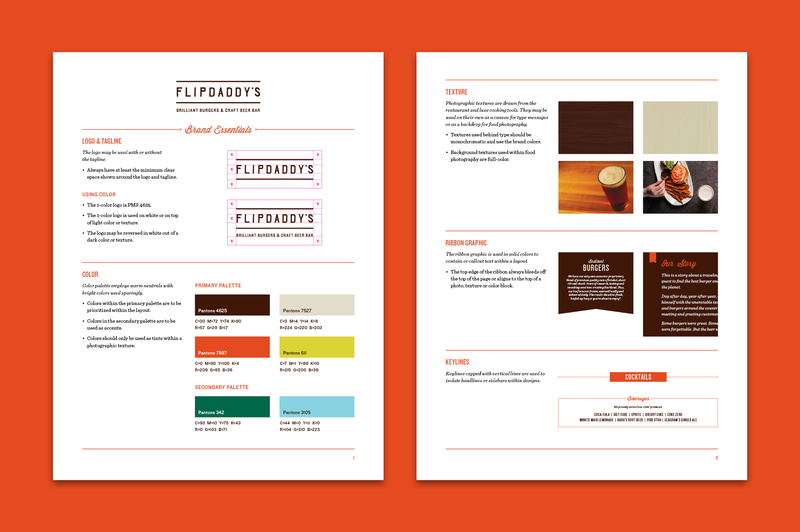 Flipdaddy’s already had two successful locations, but they had big expansion plans. They needed a strategic, consistent and flexible brand system to grow from a local eatery to a national chain. That’s when they contacted us. Based on research and organizational strategy, we established a vibrant and differentiating brand toolkit. Unusual colors, hand-drawn type, delicious photo styling and wood grain design elements combine to proclaim Flipdaddy’s the Brilliant Burgers and Craft Beer Bar. 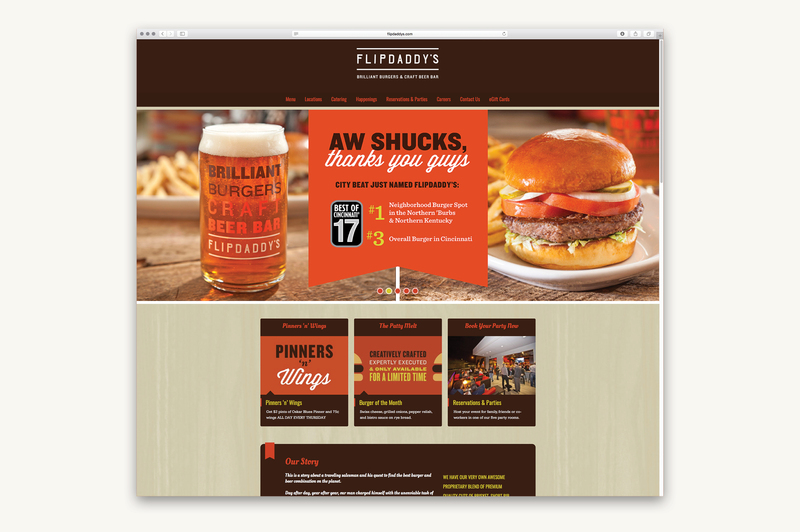 Flipdaddy’s has an interesting and authentic tale to tell, and online is the place to tell it. A newly designed website prominently features that brand story and keeps the story going with weekly special and promotions. 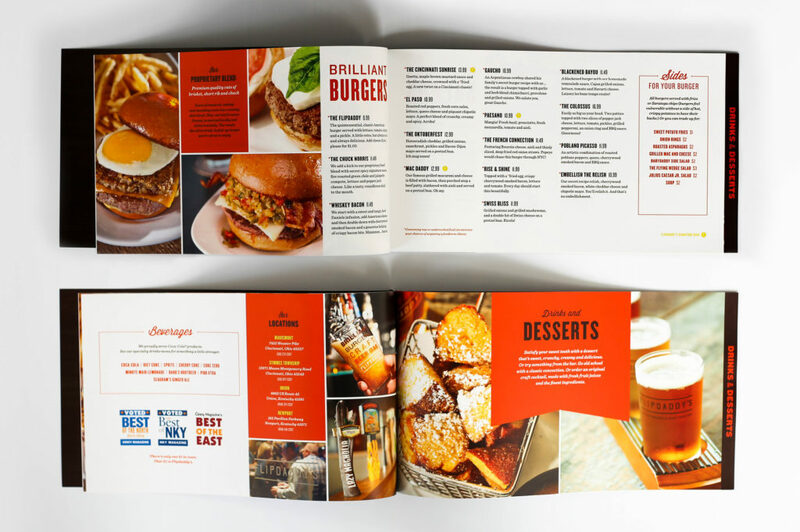 In a crowded field of burger options, the menu is a key opportunity for brand differentiation. Everything about the new menu is unusual—format, binding, colors and fonts. Along with bold, playful product descriptions, we give it that special Flipdaddy’s flavor. The brand voice—based on the founder’s unique way of speaking—is approachable, funny and slightly irreverent. 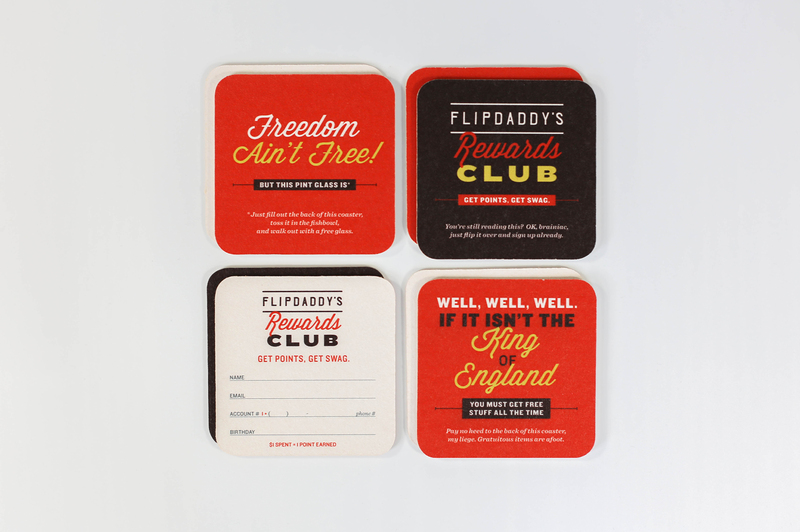 By leaning heavily into the brand voice, in-store promotions are instantly impactful and memorable, adding personality to the Flipdaddy’s experience.